In olden times, the roads of Japan had way stations called "kisoji," where weary travelers could rest. This is why we took the name "Kisoji": we would like to be a place where our customers can find rest, just like in the past. The rooms in our restaurants are named after places and mountains where kisoji were found. At Kisoji, you can enjoy our choice beef with a sesame dipping sauce called 'gomadare.' Gomadare sauce makes beef even more delicious. We make our gomadare according to our own special recipe, so please give it a try. Here at Kisoji, we invite you to savor authentic Japanese culture through our cuisine, service, and ambience. 2. Next, put some fresh vegetables into the broth. Be sure to note that the vegetables take longer to cook. When they're ready, just dip them in the vinegar sauce and enjoy! 3. After you've eaten the meat and vegetables, add the kishimen noodles and mochi rice cakes to the broth. When they're soft, take them out and put them into the bowl with a little broth. Soup is even tastier if seasoned with some salt and ground pepper. If you like, we suggest adding a little of the vinegar sauce along with welsh onions for even more flavor. 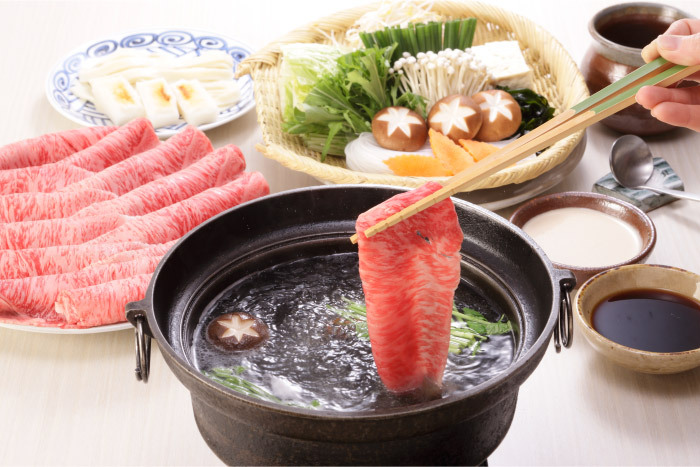 ＊Be careful not to cook the meat too long, or it may become tough and lose its flavor. ＊Also, take care not to put too much meat and vegetables into the broth at once. ＊Add the kishimen noodles and mochi(rice cakes)only after you've eaten all the meat and vegetables. 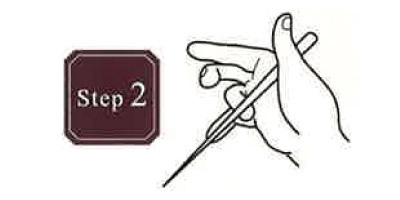 Grasp one of the chopsticks in the crotch of your thumb. Balance the chopstick on your ring finger, gripping it securely with your thumb. 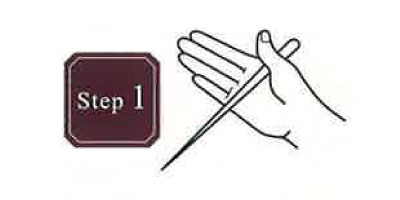 Hold the other chopstick with your thumb and index finger, balancing it on your middle finger. 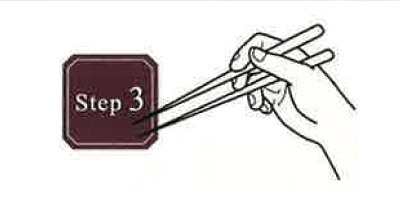 Use your index finger and middle finger to move this chopstick up and down while keeping the first one immobile. Now you can use chopsticks!